Here in the Gateway to the West, Ultimate Trailers would like to offer you the very best trailers around. As the Midwest’s Largest Trailer Dealer, we have the largest inventory of trailers in the tri-state region. Our sales staff has over 40 years of trailer experience in sales and design and can, therefore, guarantee your confidence when it comes to buying your new trailer. We sell all the brands you desire such as PJ Trailers, United Trailers, NEO Trailers, Bear Track, Impact, Triton Trailers, Wells Cargo and Master Tow. Being the best in the business is what our trailers are all about and with brands like these, we can achieve this each and every time. We want you to be secure with your purchase, and our brands can guarantee that. At Ultimate Transportation Custom Trailers, we want your trailer to exceed your expectations in each and every way. That’s why our trailers feature state-of-the-art running gear with smooth-hauling Torflex rubber torsion or spring axles and E-Z lube hubs. Only the best materials are used to make sure that each trailer meets your standards. We also specialize in many types of custom trailers built to your needs. Tailgating, conscessions, racing or job trailers. We go the extra mile to build you the trailer you want. 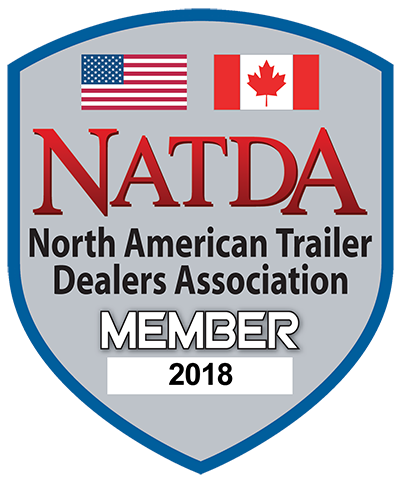 Listineing to our customers need and participating in events that feature trailers we gain valuable understanding of what you need in your trailer. It is this in-the-field experience that guides us in getting you the finest trailers available anywhere. Located in Fargo, North Dakota, we provide the ultimate hauling experience to the local area but also serve you nationwide. If you need a trailer contact us to assit in your trailer needs. From the open trailers from PJ, BearTrack and Triton, to the enclosed Motorcycle, Snowmobile or ATV trailers from United, NEO, Impact, Wells Cargo and Triton. We can fit your needs. So choose Ultimate Transporation Custom Trailers and discover why we’re the best!